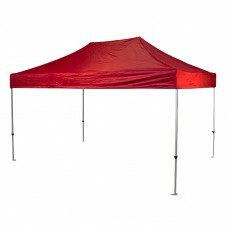 This range of commercial quality aluminium pop up gazebos have been designed and engineered for maximum strength and durability whilst remaining relatively light weight, manoeuvrable for ease of handling and transportation. 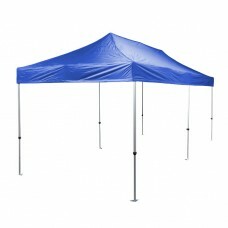 This is one of the toughest and most reliable pop up shelters available anywhere and offers outstanding quality and value for money. This unit is a great choice for the professional user who demands strength and reliability all year round. For the discerning purchaser looking to purchase an extra strong, unified look no further than our premium strength Pro Series units.The Pro series display units once erected offer an extremely durable and solid frame which will withstand very adverse weather conditions. Our units come fully assembled with no loose parts. Our Pro series frames are made from anodized aluminium using our extra large 50mm hexagonal profile leg sections. 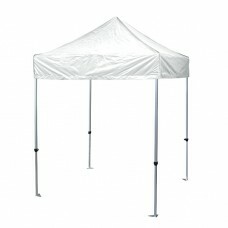 These units come in four sizes, 3m x 3m, 3m x 4.5m, 4m x 4m and 3m x 6m. There is also a wide choice of colours to choose from. 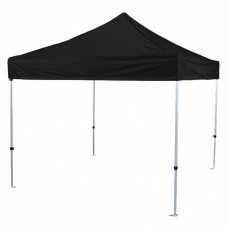 All our gazebos come with heavy duty wheeled carry bag which makes transportation easy. Cross ribs made from 35 x 18mm box section.